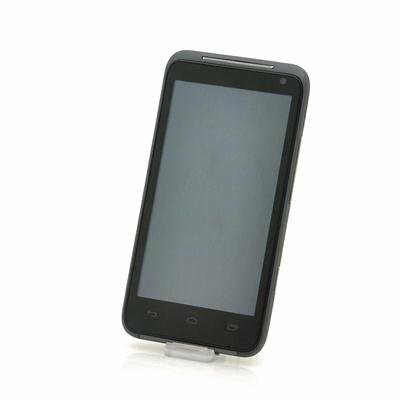 Successfully Added 4.3 Inch 3G Android 4.0 Phone "HD-Droid" - Dual Core, 8MP Camera, HDMI (Black) to your Shopping Cart. Android 4.0 3G 1GHz dual core mobile phone that includes a 960x540 resolution screen as well as the the ability to get a high quality connection direct to your HD TV. HD TVs have changed the way we look at our home entertainment from the moment it was released, and the Android 4.0 phone known as the “HD-Droid” is perfect example of technology progressing to meet our new demands. As connection direct to your HD TV is increasingly popular at such a vast rate it seems strange why many phones haven’t jumped on to this trend, but now the “HD-Droid” is leading the way. This connection direct to your HD TV allows you to take advantage of your high quality HD TV screen to display your picture slideshow, videos or anything else happening on your screen straight from phone to the whole family. Another amazing feature of the “HD-Droid” is the 3G connection that allows you a faster, stronger and more efficient connection so that you can Skype, update your Facebook or surf the web wherever you may roam. This “HD-Droid” has a MTK6577 1GHz Dual Core processor chipset, which is combined with a SGX531 GPU to provide a wonderful gaming experience and will take on all the newest games and apps effortlessly. Add this to a 4.3 inch, 960x540 vibrant screen, and play games, watch HD movies and browse the web like never before. Additionally a 8MP back camera will capture all your precious moments in high quality. Snap a picture with the 8MP camera and save it on the 4GB of internal memory or on a Micro SD card of up to 16GB. Running Android 4.0 Ice Cream Sandwich, the “HD-Droid” has one of Android’s most advanced operating systems. Not only is Android 4.0 fast, but it also gives you a high level of customization options and a big app store with more than 600,000 apps. Install any app such as YouTube, Angry Birds or Twitter and the “HD-Droid” will run it with ease. 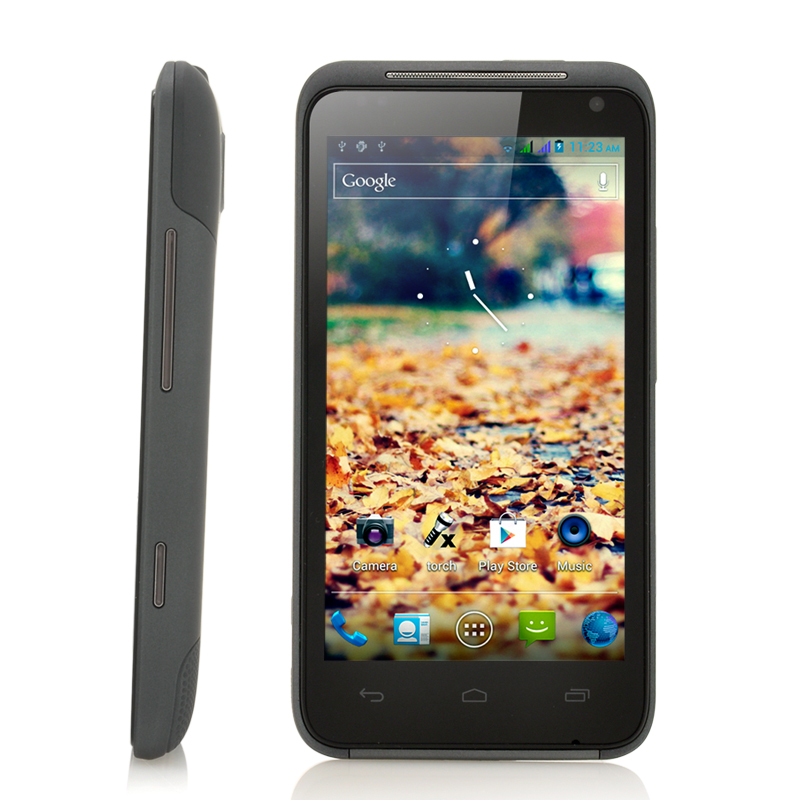 This 3G 1GHz Dual Core Android 4.0 phone “HD-Droid” with HD TV connection is a unique quality at an awesome price. This product is in stock and can be dispatched within 24 hours of ordering with a 12 month warranty. Brought to you by the leaders in wholesale electronics and Android mobile phones, Chinavasion. 5 stars all the way on this. Lightweight attractive finish. A very fast and easy to usephone. Comparing this to my sony ericsson arc-s; this is a faster and more cost effective phone. And I loved the Arc s when it was launched. Hdmi ports should be standard on all phones, another reason this gets more points! A true bargain and serious value for money!!!! Not much to report. The camera is where this lets itself down, which is sad because its such a minor thing these days to correct. Dont get me wrong, it works fine. I've. Just seen better snaps on some other phones. on 2013-05-01 22:40:54 great phone, owners manual in english for a change! I love everything about this phone except its minimal storage space of 4gb, everthing else is top class! i am looking forward to purchasing another one as soon as they are replenished. on 2013-04-18 00:34:25 Great value for money! The main reason I selected this phone rather than another one, was the acceptable size (+/- that of an iPhone 5), compared to those 6" "monsters" for sale here, for which you need a backpack of its own. The phone's screen is very bright and sharp. I'm also impressed with the battery life (2-3 days, while calling +/- 2-3 hours a day, with 3g always on). I used to own a Samsung Galaxy Gio, and it only lasted (if I was lucky) 1 day. The phone runs smoothly - the dual core processor is pretty fast. In my opinion no need to go for a (far more expensive) quad-core model. Luckily, the phone doesn't come with tons of "bloatware" installed, but just a nice and clean basic Android system. I only struggled a bit to get the mobile data working; I managed (at last). This doesn't have anything to do with the phone's quality though - I just had to add my provider's APN in the settings menu. Oh yes, and the package does include a screen protector, although it was not listed as included in the package. Chinavasion, you may want to include that in your "package contents". A (small) drawback is the rather limited internal memory (4gb in theory, of which you can actually only use about 1 gb for photos, programs, etc.) - the rest is allocated to the system. So I really recommend buying a 16gb micro-sd card; that way you have more than enough storage. Another (more important) remark is that it doesn't run on Android 4.1, but only on 4.0. Just a warning/heads-up for potential (non-Chinese) customers: be aware for any import taxes you may have to pay. This phone cost my 110€ + 13€ for an 16gb micro sd-card, but in total I paid 20€ transport + another 24€ import taxes, making it a total cost of about 160-170€. It's still very cheap for what you get (+/- same specs as a Samsung Galaxy S3 mini) though. Conclusion: great value for money, it's just a pity it doesn't run Android 4.1. I can certainly recommend this phone!